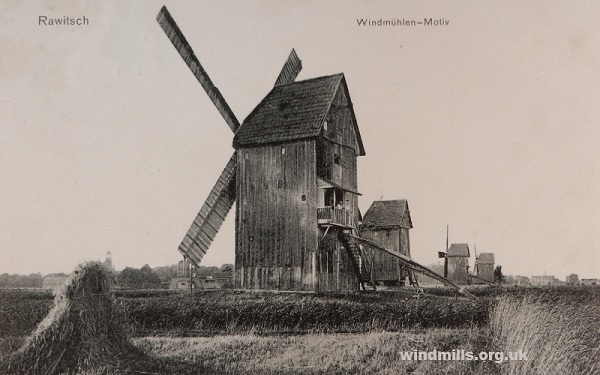 This month we have three old images of the ten or so windmills, which could once be found in the town of Rawitsch / Rawicz, of what is now Poland. At the time the photographs were taken the area was part of Prussia, Germany. 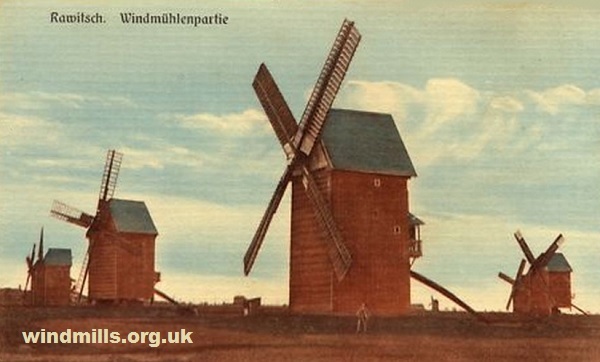 Unfortunately, all the mills in the area are now no more. 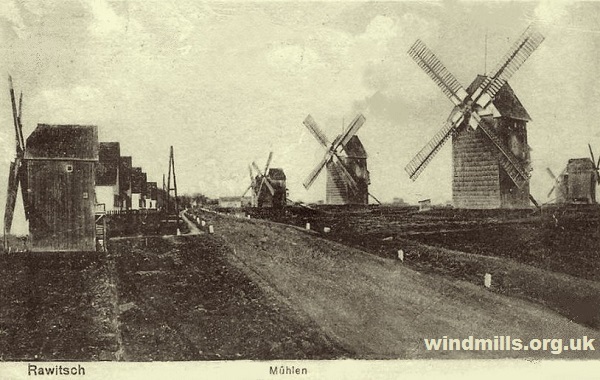 This entry was posted in Old Images, Windmills and tagged germany, Poland on January 19, 2015 by Tower Mill.